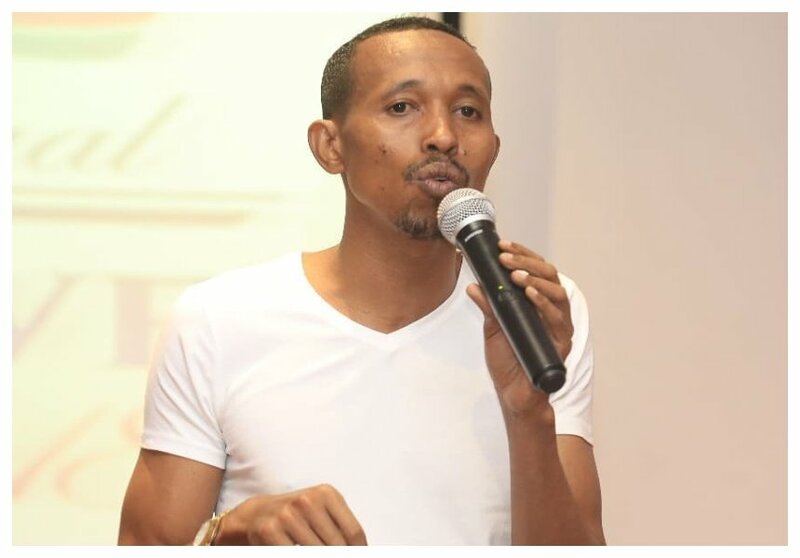 Most Kenyans believe Mohammed Ali is compromised, and that he can no longer go after the lords of corruption like he used to when he was still an investigative journalist working for KTN. 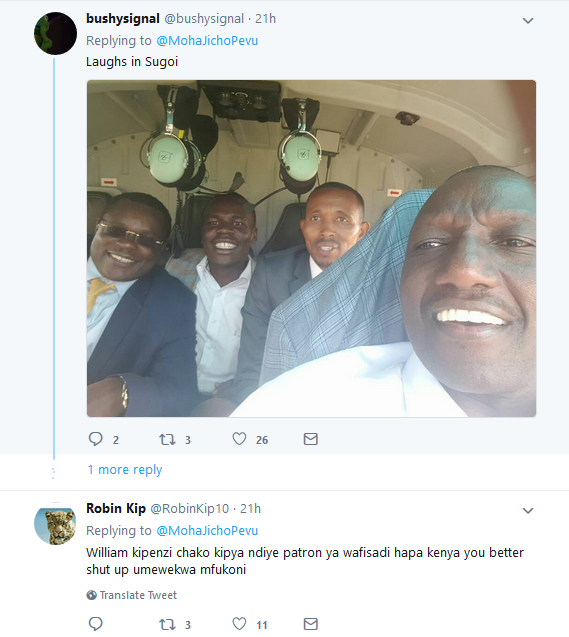 The Nyali MP took to Twitter to express his frustration with the list of NYS looters. Moha claims only small fish are being prosecuted whereas the big fish are being protected. Mohammed Ali further threatens the name and shame the real kings and queens of corruption when parliament reopens on June 5th. “Huwezi funga penalti kwa kichwa. Wafisadi WAKUU wa NYS lazima pia wachukuliwe hatua za kisheria. Bunge litafunguliwa tarehe 5. Msipowataja tutawataja hadharani. 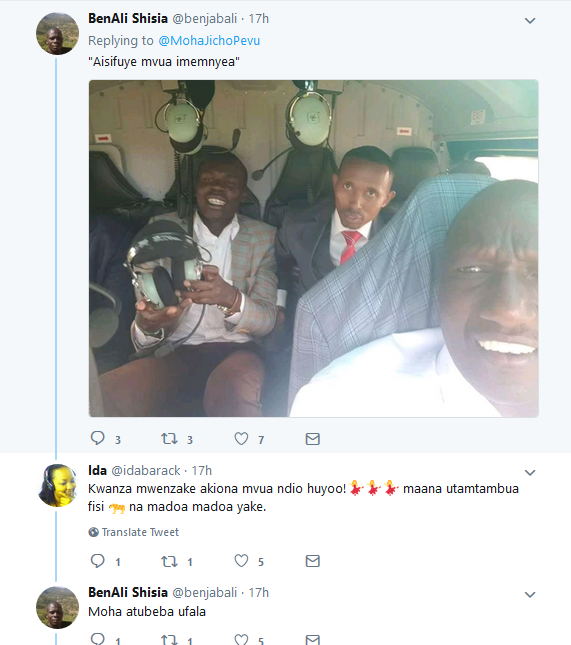 Msione tumekimya ila twafuatilia kwa makini. Twataka pia kuona wezi wakubwa waliotoa idhini kizimbani. 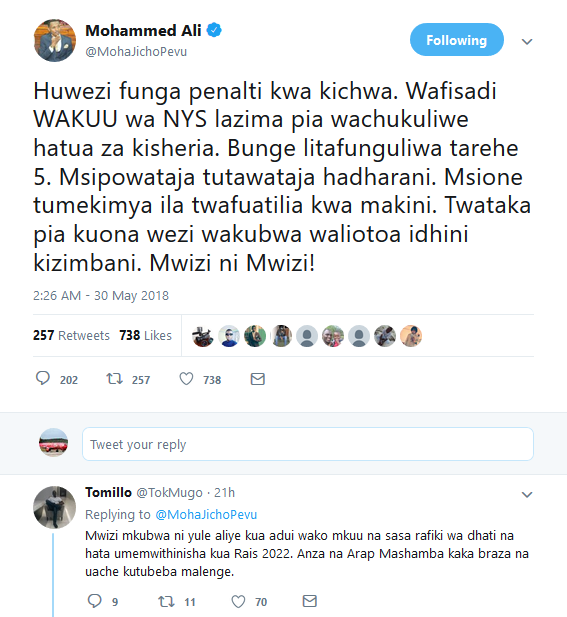 Mwizi ni Mwizi!” Wrote Mohammed Ali. 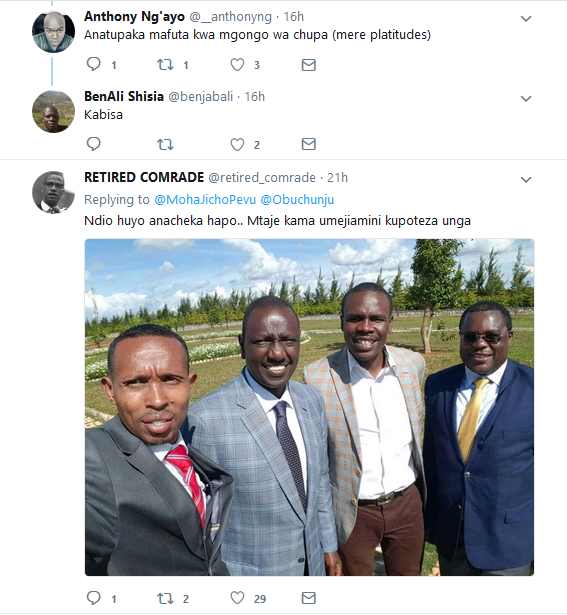 Kenyans On Twitter (KOT) quickly dismissed Ali saying his association with DP William Ruto betrays his quest to fight corruption.